Sky is to close its twenty year old pay-per-view TV platform in January 2017, as the broadcaster seeks to boost online services. 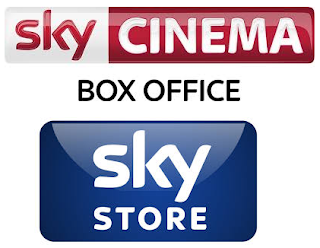 Sky Box Office, first launched in 1996 via Sky's analogue service, soon became one of Sky Digital's early selling points, offering subscribers access to numerous feeds containing sports and movies, with multiple showings of films to allow a near on-demand service on linear TV. In 2011, the main part of the service became Sky Movies Box Office, later Sky Cinema Box Office. It will now close on the 4th January 2017, with viewers being directed to the Sky Store as the preferred alternative way of buying movies. There is no further impact on the remaining Sky Cinema linear or on-demand service. In recent years, the Box Office service has been pruned, losing a number of its streams, as demand for the service declined in favour of online streaming and download services. Sky Store offers consumers the chance to buy or rent the biggest blockbusters and all time classic movies. Movies can be watched on up to four devices. Users can opt to buy and keep a film and receive a DVD of it in the post. The service is not tied to the rest of the Sky TV service, and can be accessed by non-Sky TV subscribers. In addition to being available to viewers with a Sky box, it can be accessed on devices including Macs/PCs (using a browser that supports Silverlight), tablet, mobile or through Now TV or a Roku box. However, the service was pulled from YouView boxes last week (affecting BT, Plusnet and TalkTalk TV users). Sky Store's removal from the platform may not be too unexpected - the removal followed a number of media reports over the years indicating Sky's dissatisfaction with the development of the platform, although neither YouView or Sky have confirmed or denied any issues. What Sky intends to do with the satellite transponder capacity freed up by closing Sky Box Office remains to be seen.